Next week’s draw to be held on Friday 27 March, draw time to be advised by sms. This weeks SLSC Members Draw is on Friday 6 March between 6-7pm. Prize is $350. Member must be present to win so don’t miss out. Draw times to be advised via sms. 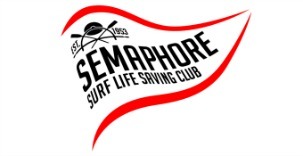 Produce Semaphore membership card to receive discounts. Sale items and new winter stock not included. This weeks draw is Friday 13th February between 7.00-8.00pm. Black Friday is generally unlucky for most but will be lucky for one member this week if you are present at the time of the draw. Prize is $200. Draw times to be advised. This weeks Members Draw is Thursday January 22nd between 6.30-7.30pm. Prize is $250 and you must be present at time of draw to win. This weeks Members Draw is Friday 16 January between 7-8pm. Prize is $200. You must be present to win it so don’t miss out. There are still some new members this season that have not collected their membership cards. Cards can be collected this Saturday upstairs from 11.30am. The next Members Draw is this Sunday 28 December between 5-6pm. Prize is $500 and you must be present to win it so don’t miss out. Draw times will be advised via sms.